Estate Planning is the arranging and documenting of the most effective disposition, not only of one’s principal but also of the income such principal is capable of producing, for those persons or institutions who or which one wishes to benefit, all in the most flexible, best protected and most economical way. The need for an estate plan is so crucial that every state has provided for the distribution of its decedents’ estates in the event that a decedent failed to take care of his or her own estate plan. However, if one is willing to make a short-term commitment to the estate planning process, one may leave a legacy of caring which will spare loved ones the complications, time and money which can be posed by the failure to plan. Remarkable savings in costs and fees, both in the elimination of a court process and in minimization of attorney involvement. The first task is to identify one’s goals and desires in light of total assets and liabilities. At this level. one must reckon with ”people“ concerns, as one does during life. This is by far the most important level of concern in estate planning and must be done within the framework of all the variables to which everyone, including the potential beneficiaries of one’s estate, are exposed during life, incapacity or incompetency, and death. The second consideration includes choices of an estate planning professional and an estate fiduciary who will maximize efficiency, assure availability and continuity, minimize total expense, and maximize available knowledge, experience and protection. Third is the consideration of allowable tax savings within a personal framework. 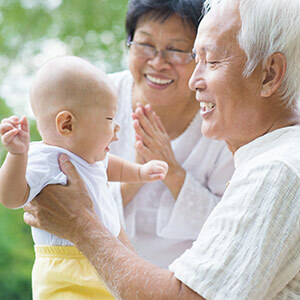 A good estate planning professional can explain the advantages and disadvantages of many estate planning mechanisms, including wills, self-trusteed revocable living trusts, irrevocable life insurance trusts, and several variations on lifetime gift trusts which may provide tax advantages to both the donor and donee. The appropriate use of any of these documents depends on the size of one’s estate and the complexities of one’s plan for distribution. However, when the task is done, an adequate estate planning program will often produce a deep sigh of relief and a real sense of satisfaction for having completed a task which will take care of one’s self and loved ones, while minimizing the taxes and expenses caused by disability or death.